Where helping restore the body's natural ability to heal itself is our goal. Offering a multidisciplinary treatment approach that is aimed at improving your lifestyle. This covers a wide range of treatment options, including Spinal Decompression Traction Therapy. Your posture and the state of your spine can reveal a wealth of information about your health and well-being, which is why it is a must that you take good care of it with the help of a good chiropractor in Dubai Marina. Franklin Chiropractic, Physiotherapy and Acupuncture Center Dubai is a premier wellness practice that offers a suite of chiropractic care and wellness treatments to manage postural conditions and spinal disc bulge injuries. Our goal is to help our clients achieve optimal health and vitality by providing safe and non-invasive customized treatments and excellent care to patients. Physiotherapy treatment combined with chiropractic offers the best possible multidisciplinary treatment protocol to help you regain your active lifestyle as soon as possible. Focusing on disorders of the musculoskeletal and nervous system affecting general health, Chiropractic Treatment helps restore joint mobility and spinal alignment through gentle, specific joint manipulations. Offering a wide range of treatment options, including Spinal Decompression Traction Therapy, Dry Needling or Acupuncture, Soft Tissue Release, Kinesio Taping together with specialized exercises. Every patient has their own unique needs. A treatment for one patient may not go well with others. Here at Franklin Chiropractic, we always take into account the discerning needs of our clients. Our customised and tailor-fit treatment plan starts with conducting a series of assessment and testing. Based on the results, our chiropractor will design an individual treatment plan that may include a combination of chiropractic care, acupuncture, and physiotherapy. By following these procedures, patients can be relieved of their back and body pains, manage their spinal injuries, and help them improve their dexterity and posture. 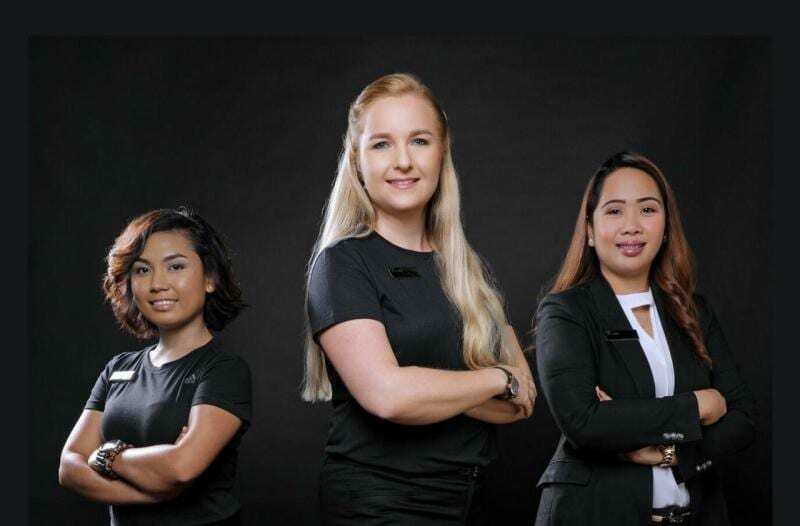 We assembled a team of highly qualified chiropractors in Dubai, UAE to provide the highest level of service and care to our patients. Our staff is trained and well-adept in the concepts and applications of this practice and known to utilise diverse chiropractic adjustments and physical modalities to provide posture rehabilitation and corrective measure. Our state-of-the-art facility offers a safe and encouraging environment where patients can explore different methods to manage and improve whatever condition they are dealing with. Consult with the best chiropractor in your area and start your journey to healing. Call us at +971 4 874 8538 to schedule a consultation or fill up our online form to schedule an appointment. The goal of our corporate wellness days is to promote happier and healthier employees. practical and easy to implement with long lasting benefits. Our skilled team of healthcare professionals offer our patients at Franklin Chiropractic the highest level of expertise, dedication and passion they deserve. What a cozy, relaxed and friendly atmosphere! Staff communicate with patients very well and make it easy. Doctor was absolutely fantastic!! She definitely showed years of experience and skill and describes each step of the process including what you as the patient could expect. I will be returning to her facility for sure. Beyond satisfied! Dr. Franklin's care and chiropractic therapies have been very effective at resolving neck and back strain - her professionalism and thoroughness is much appreciated. Dr. Franklin helped me fix my neck and lower-back pain in only two treatments. She’s an amazing doctor with a bag full of experience. After a initial consultation, she explains clearly what she’s going to do, which is very comforting. Fantastic clinic with brilliant, experienced doctors and physio. After years of back pain I’m finally feeling in safe hands and on the road to recovery. Highly recommended! Dr Franklin and her team are very professional in what they do. You feel really good once treatment has been given, as they get to the cause and give a solution. I highly recommend Dr Franklin and her team! I feel lighter and "straighter"! So worth the visit (I live in RAK, over 100km away, but it's worth the trip). Thanks Dr. Mandy and your team. Professional service, lovely offices and lovely staff. Doctor Franklin takes time and care with each patient and assesses carefully. Highly recommended. Our practice assistant is waiting to take your call to book your next chiropractic, physiotherapy and acupuncture treatment . She will assist you with bookings, confirmations and any other queries you may have along the way.